Choosing to list your house for sale can be difficult, but knowing what to do next can be even more challenging. 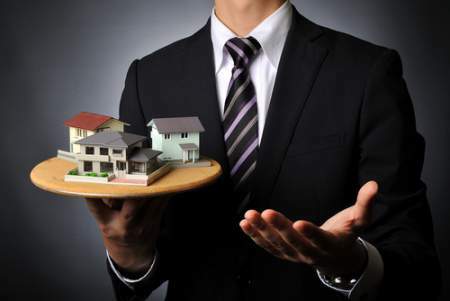 Even in best-case scenarios, real estate transactions are time-consuming and complicated. However, the more you know and the better prepared you are, the smoother experience you’ll have when selling your home. 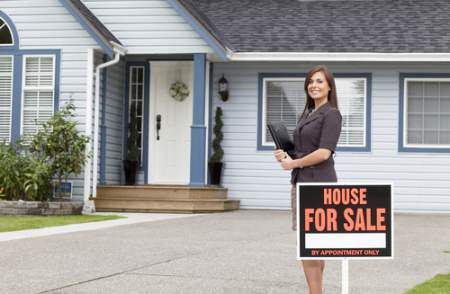 Here are six steps to selling. One of the biggest errors in judgment homeowners make when selling is in choosing to list without representation. People may think they’re saving a few bucks by cutting out the middleman, but nothing could be further from the truth. Real estate agents can help you not only market your home and negotiate a great offer, but also with the legalities of contracts. Real estate agents differ one from another. They have different specialties, qualifications, niches, skills, techniques, and personalities. Interview agents until you find the one that works best for you. You may feel like you’re on a game show taking a random chance at naming a winning price, but there’s a combination of science and art to pricing a home competitively. Prices marked too low can cost you big money, but overpricing can condemn the property to longer stays on the market, multiple price reductions, and even a stigma for buyers who wonder why the house hasn’t sold yet. Talk with your real estate agent. Review the comprehensive market analysis. Take advantage of tools like home valuation calculators. Consider a pre-appraisal. Tour other houses similar to yours that are for sale in your area so you can compare, and then price your home competitively. You’ve decided to sell, hired an agent, and set a price. You’re out of the gate and on your way to selling your house. But now you need to get that property in stellar condition for buyers to view. You’re putting your home on display hoping someone will love it enough to take it off your hands. You’ve got to dress that house for success. Remove the clutter. Simplify and organize your belongings. Depersonalize by removing personal items such as photographs of loved ones or collectibles. Clean like the dickens. Repair what’s broken and replace what you can’t repair. Take this time, too, to prepare for your inspection and appraisal. If there are problems with your house or your property, those will be revealed and could equate to deal-breakers. Fix them now so they won’t be problems later. When your agent shows your home to potential buyers, try not to be there. Schedule a spa-day, a day on the golf course, a shopping excursion, a day-trip, or anything that can get your out of the house and not thinking about all the possibilities. Listing to strangers parade through your domain openly commenting about their likes and dislikes can be more than a little uncomfortable. It can also be difficult for pets, so provide a safe place away from home where they can stay during showings. Buyers can also be put-off by pet allergies or dislike of animals. You’re almost over the hurdle! Now that you’ve shown your home, people are making offers to buy it. Your job now is to carefully review every offer and have your real estate agent advise you on negotiations. Once you’ve accepted the offer and an earnest money deposit, you’re on your way to the finish line. However, there are a few more discomforting steps to go through first. Your house must now be exposed to surveyors, inspectors, appraisers, as well as title checks to make sure you’re being sneaky and trying to sell a house that’s bound by tax liens or holds. These processes can take weeks to accomplish, so be patient. In the mean time, pack your bags because you’re almost outta there. By the time the transaction reaches the closing table, all of your things should be out of the house. At this meeting, you’ll be turning over the keys and arranging to collect payment for the sale of your house. You don’t have to attend the closing meeting, but you do need to talk with your real estate agent to understand the process.